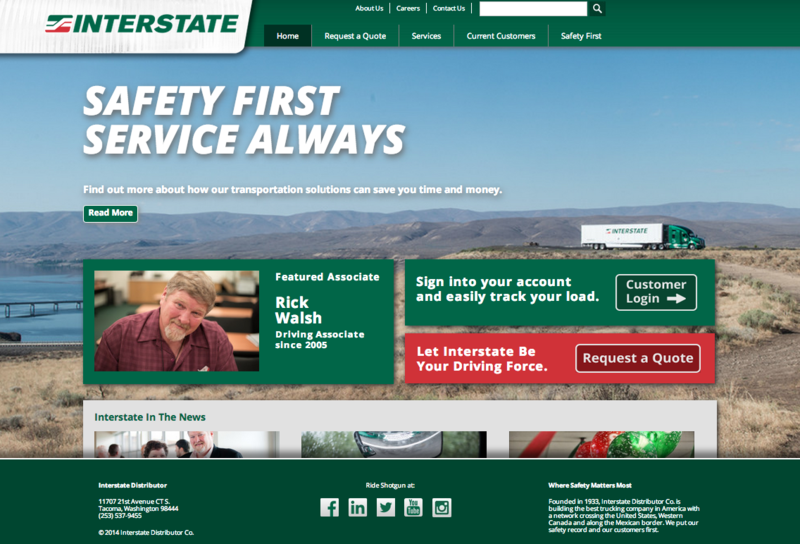 On this project, we had the privilege of working with trucking titans of the west coast, Interstate Distributor Co. They wanted a complete facelift on their functional but very old website. 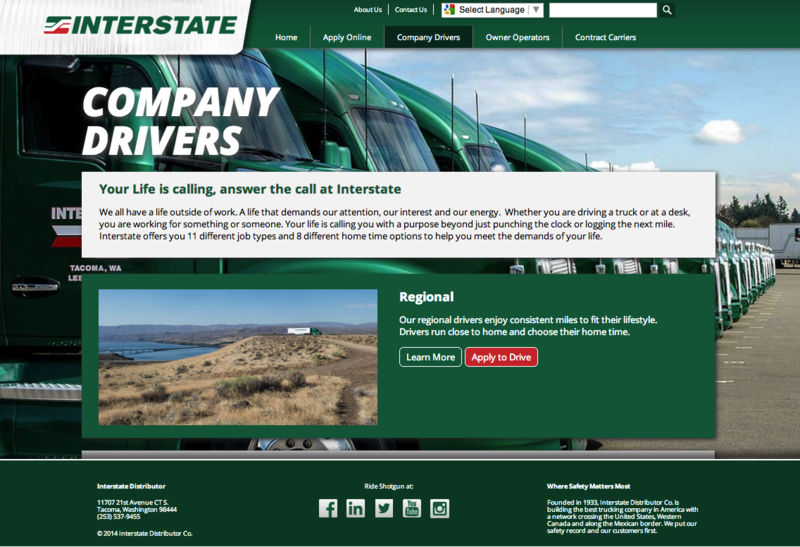 When you’re a name as large as Interstate, you should have as impressive of a website as the successful company that it represents. Rusty George Creative designed the site to lean on crisp photos and fresh content. The implementation was built in a custom theme using WordPress as the content management system. Everything from photos to content to job openings is now easily updated by their staff with the click of a button. Each page is interwoven with custom widgets for integrations like “requesting a quote” to login portals for their employees to check pay records. 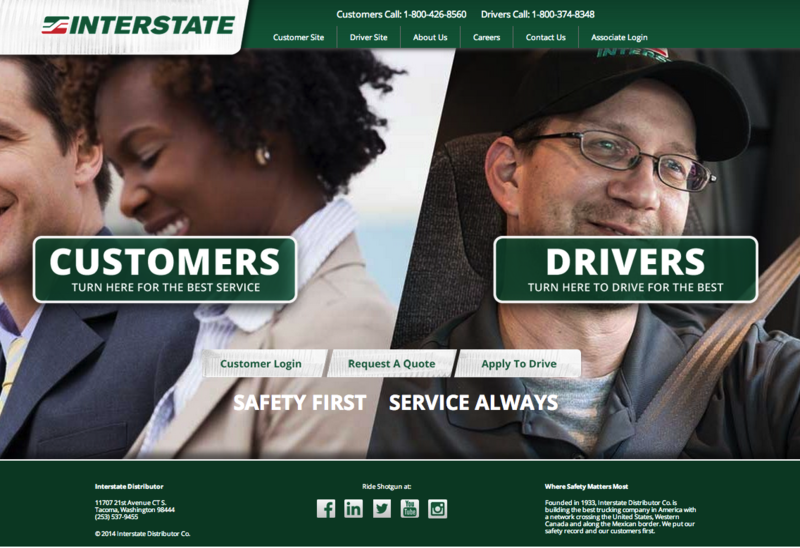 One of the challenges with this site was that they wanted the landing page to have two different portals: one for customers and one of employees/drivers. This was especially interesting in regards to their menu management as they wanted some pages to show up on both sub-sections and other not. As with all of our projects our aim was to think through the most clean, efficient and intuitive approach for user navigation. The end product provides a simple navigation to the nearly 70 pages of content. 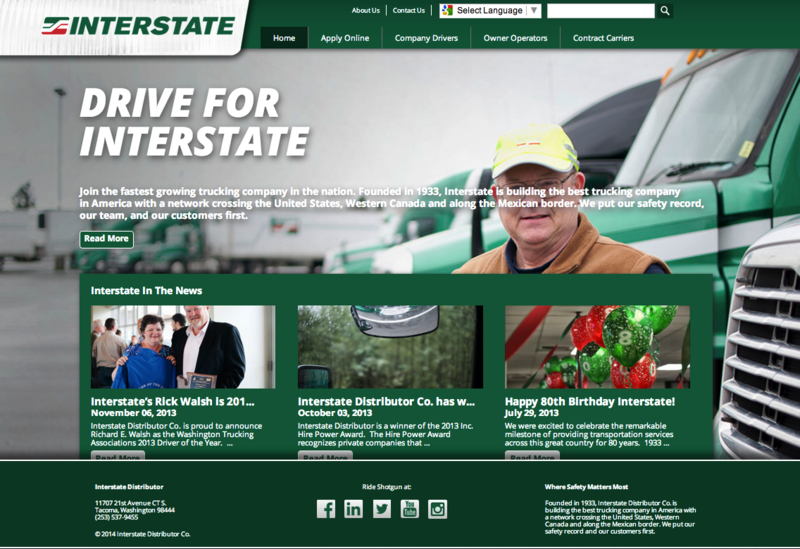 A big part of Interstate are their employees. We created custom post-types to allow the “featured associate” listing of employees they wanted to showcase. Additionally, their drivers access the company site on mobile devices on the road so we had to make sure that the site was responsively designed for mobile phone, tablet and desktop viewing. We also create a “employees only” section of the site which is accessible through login featuring an company blog and informational pages, all restricted from the public via a secure login.